We are a small, family-style, egalitarian, intentional permaculture community on the big island of Hawai’i. Staying with us is a vibrant immersion in our community lifestyle. 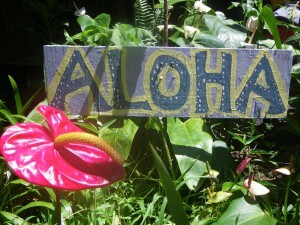 Many visitors find it transformative and life-changing. 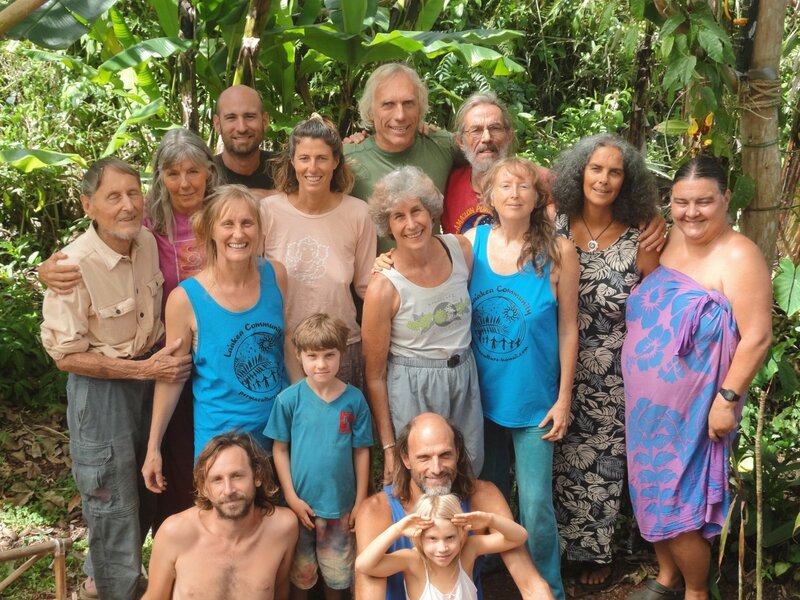 We are a committed group of people working together closely as a means to health, relationship vitality, economic stability, and personal and spiritual growth. We integrate the social aspects of sustainability into daily life: how to live together with honesty, love and peace, and shared power and leadership. Please enjoy our videos of interviews with our members and past interns, see tours of our land, and previews of the classes we offer. We make important, long term decisions by consensus of community members. We are currently nine adults and two young children. We intend to expand to 12 to 20 full-time members. We own the land in common, each paying an equal share to buy in, to insure authentic power balance. We are actively looking for new members at this time. 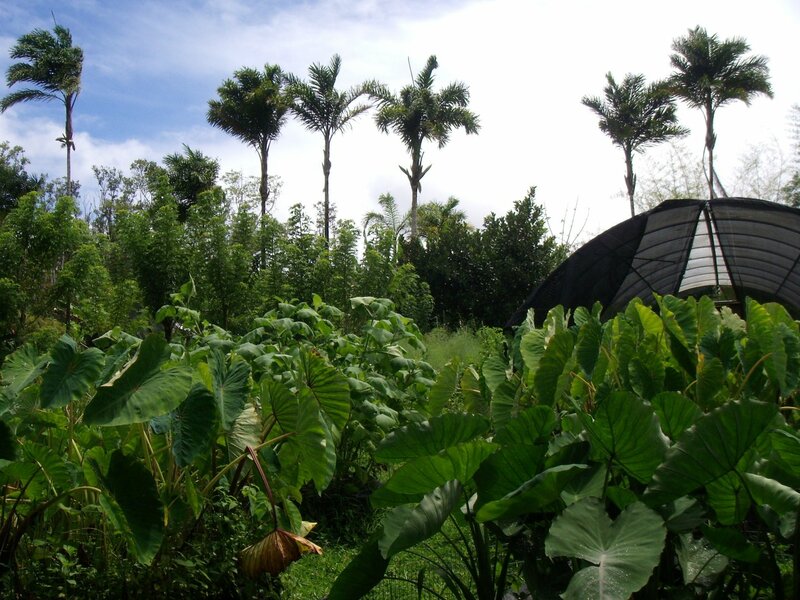 Our organic farm practices tropical permaculture in our lush rainforest climate. We bought our land in 2005 and currently grow a large portion of our food. We are growing many kinds of fruits and nuts. 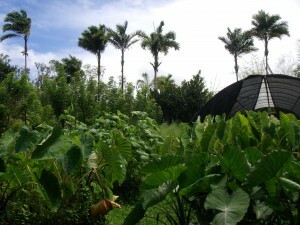 We have extensive gardens and greenhouses, taro beds and orchards. We keep bees, chickens, rabbits and sheep who are our natural lawn mowers in addition to providing us with food and fertilizer. 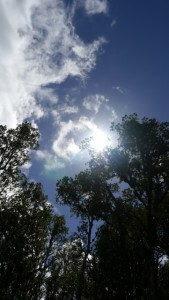 Our electricity comes from solar photovoltaic panels, and our water is from a rainwater catchment system. We value alternative and sustainable building techniques. 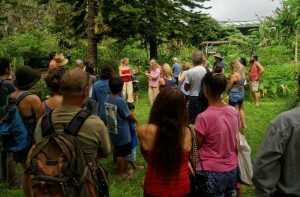 We host conferences and events relating to permaculture, and run ongoing farm support opportunities and intensive month long internship programs. We live in one of nature’s most amazing places, surrounded by mountains, oceans, steam vents, dense jungle and warm pools. 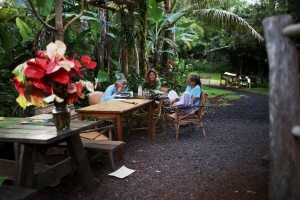 We are a short drive from the active volcano and the fresh lava fields. Our visitors enjoy exploring the many unique features of this land, and the cultural activities nearby. 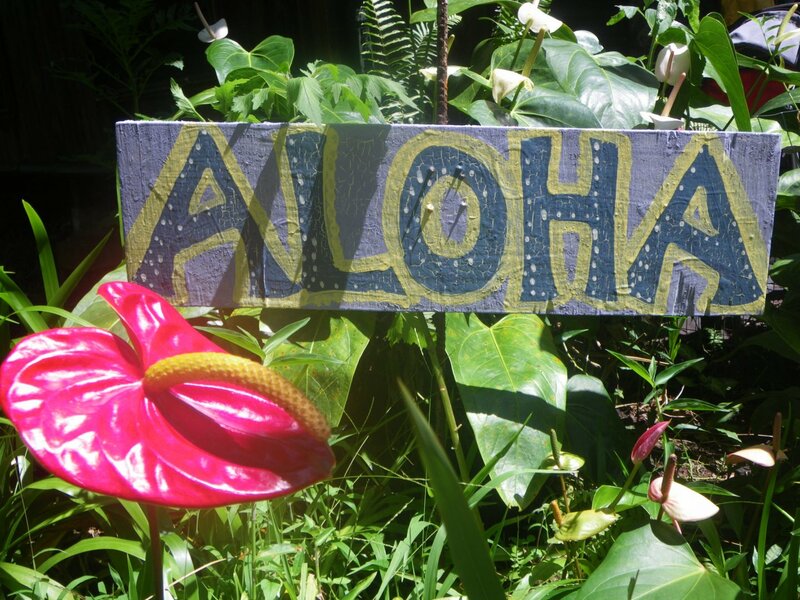 If you are on the Big Island, please email us to arrange a visit. We give tours of our land and community on Saturday’s twice a month (see the calendar). We are also open to visitors joining us for a work party, for dinner or for overnight stays of one or more nights. Click here to find out more about visiting us. We hope to meet you someday – as a visitor, guest, farm supporter, intern, or possible new member! Would you like to get our newsletter about our events? Just fill out this simple form to be on our mailing list. We never trade or sell our lists.